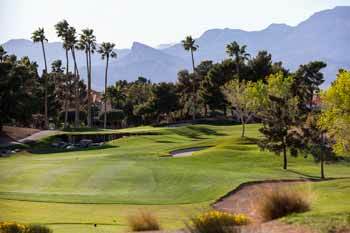 Canyon Gate Country Club may be located just a short drive from the Vegas Strip, but it feels worlds away from all the hustle and bustle of the city. 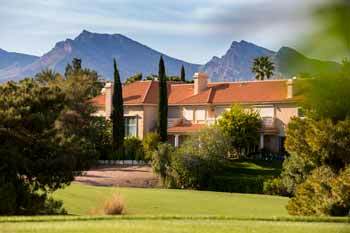 Its elite members appreciate the club's relaxing, friendly environment, which is why many of them choose to invest in Canyon Gate Golf Course Properties. 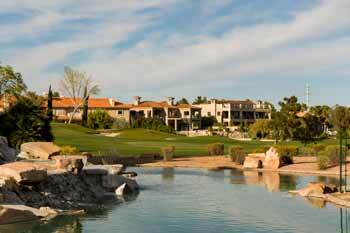 In addition to a beautifully maintained 18-hole golf course, the Club offers its members access to five tennis courts, golf and tennis pro shops, a state-of-the-art fitness center, a Vegas-style outdoor swimming pool, an outdoor Jacuzzi, and even indoor wet steam rooms. 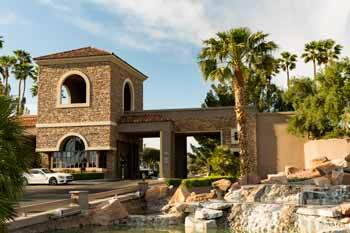 Residents and members appreciate Canyon Gate's formal and casual dining rooms and select members-only events and activities. The luxurious premises also include fully-equipped event venues and function halls capable of accommodating parties of almost any size. The room charges for use of these spaces are waived for members and residents who are also encouraged to take full advantage of the community's renowned Catering Director, Executive Chef, and professional staff in organizing their events. 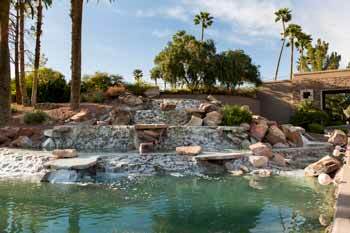 It's easy to see why residents call Canyon Gate one of the Best Neighborhoods in Summerlin. Property values range from a modest $200,000 to $600,000 for production homes, although many residents opt for designing custom homes instead. 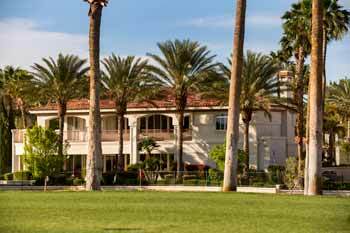 These unique and elegant estates are located in the eastern and southern areas of the community. 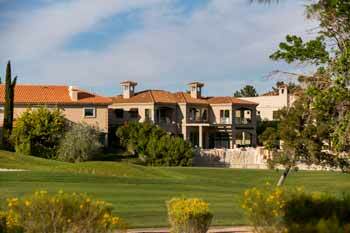 Some Canyon Gate Homes for Sale have golf course frontage, while others are located behind their own electronic gates. Of course, there is no cause for concern when it comes to security. 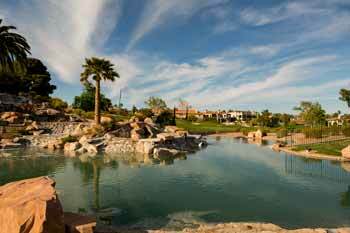 Canyon Gate is one of the premier Summerlin Guard Gated Communities currently accepting new members. Imagine looking out the window and taking in an incomparable view completed by picturesque Red Rock mountains in the background. Despite feeling like it is a world away from the heat, sand, and glitz of the Vegas Strip, the community is close enough to the city to provide an easy commute for business professionals. The nearby McCarran International Airport makes travel for business or leisure as simple as can be (plan for a 20-25 minute drive). When a community such a diverse array of activities and opportunities for relaxation and socializing alike, though, returning home from vacation is just as exciting as leaving to begin with. 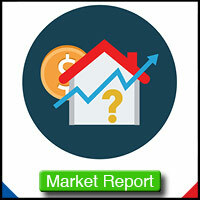 Contact us today for any questions or to simply schedule a showing.